were comparable in ABA and other bDMARD pts (Table). 1. Schiff M, et al. Ann Rheum Dis 2014;73:86–94. Disclosure: E. Alemao, Bristol-Myers Squibb, 3,Bristol-Myers Squibb, 1; S. Joo, Bristol-Myers Squibb, 3,Bristol-Myers Squibb, 1; M. Frits, None; C. Iannaccone, None; N. Shadick, Amgen, Questcor, Crescendo Biosciences, UCB, Bristol-Myers Squibb, 2; M. Weinblatt, Amgen, Abbvie, Bristol-Myers Squibb, Lilly, Novartis, Merck, Pfizer, Roche, Crescendo, Myriad Genetics, UCB, 5,Bristol-Myers Squibb, Myriad Genetics, UCB, 2. Alemao E, Joo S, Frits M, Iannaccone C, Shadick N, Weinblatt M. Baseline Characteristics and Changes in Disease Activity at 12 Months in Patients Treated with Abatacept Versus Other Biologic Disease-Modifying Antirheumatic Drugs in Clinical Practice Setting [abstract]. Arthritis Rheumatol. 2015; 67 (suppl 10). 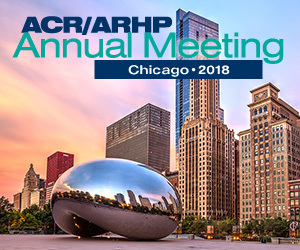 https://acrabstracts.org/abstract/baseline-characteristics-and-changes-in-disease-activity-at-12-months-in-patients-treated-with-abatacept-versus-other-biologic-disease-modifying-antirheumatic-drugs-in-clinical-practice-setting/. Accessed April 18, 2019.